Employers are increasingly recognizing the benefits of telemedicine. According to a recent survey, 22% of large U.S. employers currently offer telemedicine services to employees, and 37% expect to begin doing so in 2015. So, how does telemedicine reduce employee absences? Research shows that a majority of doctor visits are unnecessary. A cough, for example, can often be treated safely and effectively with telemedicine. And, according to the Centers for Disease Control and Prevention, the most common reason given for going to the doctor is…a cough. Telemedicine service plans are typically structured as discount card programs. These plans are not insurance and should not be considered a substitute for health insurance. 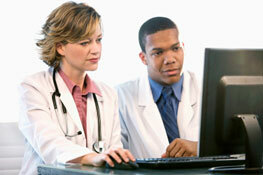 Nevertheless, employers stand to benefit significantly by offering telemedicine services. If you would to speak with an insurance professional, please contact Setnor Byer Insurance & Risk.